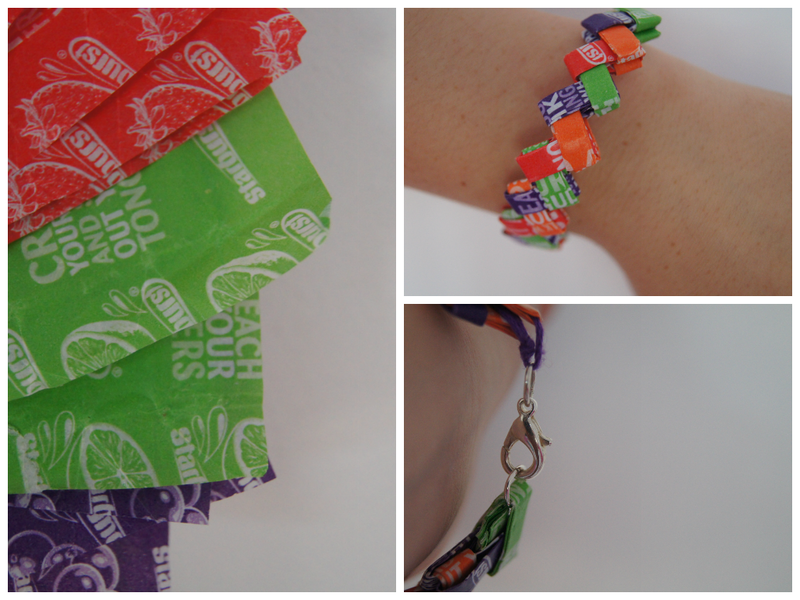 I decided to do a DIY post, The Starburst Wrapper Link Bracelet is one of the recent DIY bracelets I've made. It's fun, quick, simple and quirky. It can be made with any sweet wrapper but you have to make sure that they're the same size as the average Starburst wrapper. *It's important that the wrappers aren't torn. Step 3: Do this again to make it thinner, then secure the first fold. Step 4: Fold the wrapper length ways, creating a 'V'. 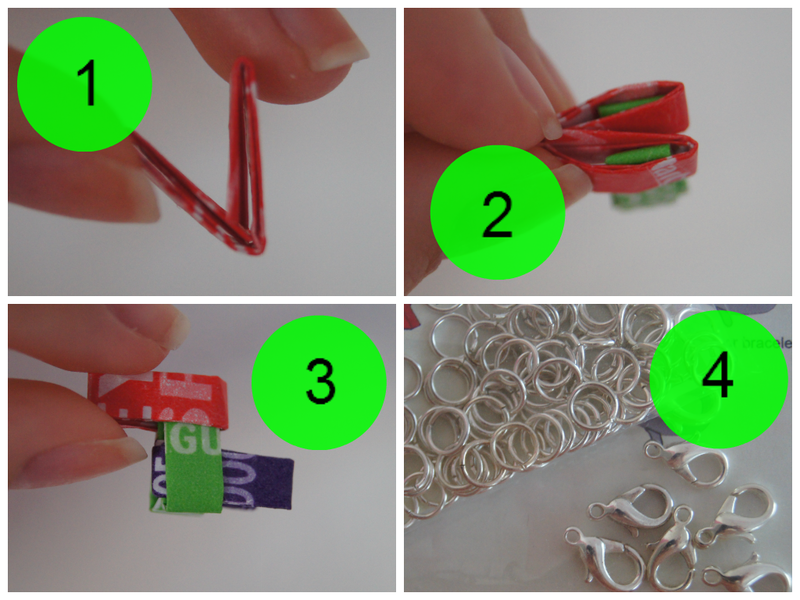 Continue these steps with more wrappers of different (or same) colours. Step 1: With your wrapper fold the long parts (?) into the middle, this makes a vague love heart shape. Press firmly to fold tightly. 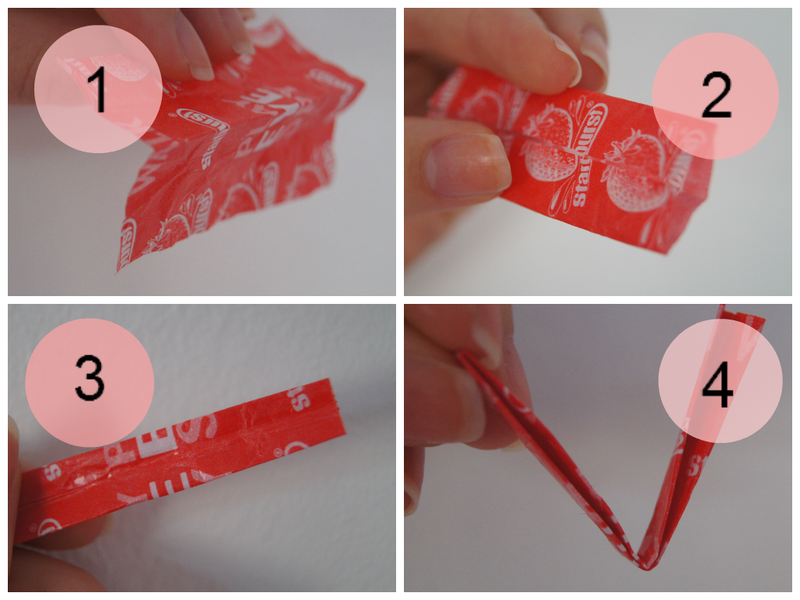 Do this to the rest of the wrappers you've folded. Step 2: Push the two folds of one of your links trough the slots of another. Step3: Repeat this in different directions, creating a zig-zag effect. Step 4: Continue this until the bracelet can loop around your wrist (leaving about 0.5cm gap). With the pliers open two jump rings and loop one around each ending of the bracelet. Close one of the rings. To the other add the lobster clasp, the close the jump ring. Then you're done, you can wear your bracelet and show it off to your friends. Share your recreations with me, or any DIY bracelets you've made before, using the hash-tag #sharewithalzgalz on Instagram and/or Twitter. Aw this brings me back to when I used to make these when I was younger with my friends! Great tutorial!